King Grim Vasteri is the strongest and most feared warrior in the Tornian Empire. He is the King of Luda, blood brother to the Emperor, and his line will die with him. He will have no offspring for no female would join with him for once he was scarred he was considered "unfit". The Tornian Empire has been dying ever since the great infection caused the birth of females to become a rarity. Since then they have been searching the known universes for compatible females. Cassandra Chamberlain has always stood out. It's hard not to at 6'1" and 165 pounds, with jet black hair and sapphire blue eyes. And if that isn't enough, she is also brilliant, graduating from Harvard at 15, teaching at MIT at 19, and up for the prestigious Magellan Award at 25. She's never really fit in. Not with her peers, not with her contemporaries, only with her family. But everything changes when the Earth is attacked, and Cassandra and her niece, Victoria, are the only survivors. Suddenly the smartest woman on the planet has to relearn everything. Jesse Sampson and her two younger sisters have lived a hard life on the streets of Seattle, Washington, for the past several years. Four years before, the Earth received its first visitors from space, causing mass fear. 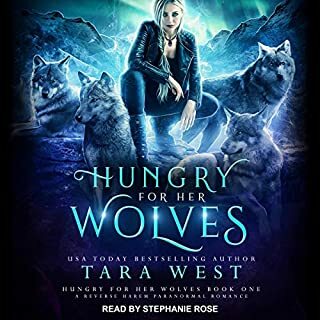 Alone in a world gone mad with just her sisters, Jesse has learned to use the darkness and the remains of the city to survive and keep what was left of her family alive. She has seen the savage side of human nature and finds they are not much different from the aliens who conquered the Earth. Kirall was desperate. He was a Black Prime Dragoon, the strongest and fiercest of his kind. He was returning home after defeating the Varana when a small planet's moon triggered his Joining Heat. It shouldn't have been possible. He was right. Autumn was desperate. She was human, female, and struggling to survive. At 22, she was barely making ends meet. It's why she agreed to impersonate her roommate as a waitress for the weekend at a private party. She believed the money would change her life. She was right. 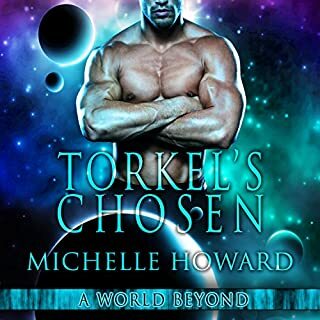 Torkel Alonson has had enough of being ignored and looked over by females on his adopted home world of Enotia. His pride has suffered and he must accept the painful truth. Females will never choose a male with his evil lineage despite his honorable service to his government's military. Good job bringing Riley to life. Drago, King of the Isle of Dragons, is the last of the magnificent dragons of the Seven Kingdoms. Bitter and alone, he abandons the emptiness of his realm and retreats to the caverns beneath the palace. 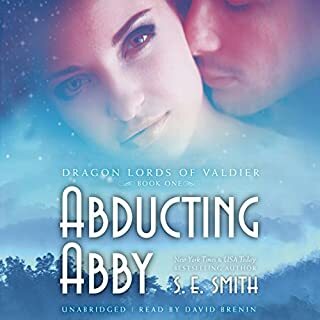 In the form of his dragon, he remains hidden from the world, protecting the Dragon's Heart, the last legacy of his people - until he is disturbed by a most unlikely thief. Abby Tanner is content to live on her mountain while she creates beautiful works of art and enjoys the peace and quiet. All that changes when a strange golden spaceship crash lands on it. Now Abby has to deal with a golden ship, a tortured alien, and an insane local sheriff. Enjoyable listening to this book. He’s the most sought-after assassin in the galaxy. His latest mission? Rescue a kidnapped child. The woman needs to pose as his wife and be good with kids. Nothing more. The matchmaker promises him the perfect mate. He never imagines the matchmaker might be telling him the truth. On his wedding day, his forever mate walks down the aisle dressed in a white, flowing mermaid gown. He never imagined a woman who can fulfill his darkest needs. Gracie Jones was little more than a child when Earth was invaded by an alien species. Escaping into the subway tunnels of New York City, she hid in fear of being captured. Discovered by four men who became her protectors, she fought alongside them, and they became known as the Freedom Five. At 17, she made a decision that turned the tide in the war between Earth and the Alluthans, but in exchange, she gave up all that she knew. Being dragged through a mirror, naked and screaming, onto an extraterrestrial ship was bad. Finding out I had been sold to a huge alien male who looks like the devil was worse. But learning he wanted to trade me to an intergalactic petting zoo was the worst of all! Now I'm whizzing through the galaxy with a robot butler, a trio of nib-nibs (they're like tiny green monkeys), and one huge, muscular, and very grumpy alien. 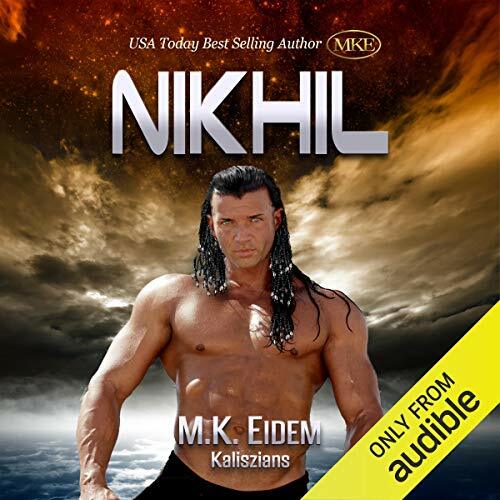 As the squad leader of the Elite Warriors, Nikhil Kozar was the largest warrior in the Kaliszian Empire. When a shuttle crashes on one of their planets, the search and rescue mission turns into something much more complicated. Mackenzie 'Mac' Wharton had agreed to guide a group that had wanted an adventure on her mountain. They got more than they bargained for when they were all abducted by a group of aliens called the Ganglians. Badly beaten and barely alive, Mac finds herself in the arms of the largest male she's ever seen. She should fear him, should be fighting to get away from him, but there was something about the massive male that called to her. A traitor threatens the Empire. Someone wants Nikhil dead. The Zaludians want Mackenzie back. And then there was the secret she's keeping. Would it be the one thing that finally brought down the Kaliszian Empire? Or would it be the first step in its rebirth? The story is pretty good but music and the long gaps between the chapters is annoying. Also narrators sometimes stop in the middle of a sentence, presumably to turn a page. All in all pretty good though. 730 Grand Concourse Apt 2E,Bronx, New York,10451. this story is an epic journey that my mind revelled in. transported through the feel of a great radio play. I loved taking the journey. Loved it thankyou thankyou, as always the team didn't disappoint... cant wait for the next ones.. 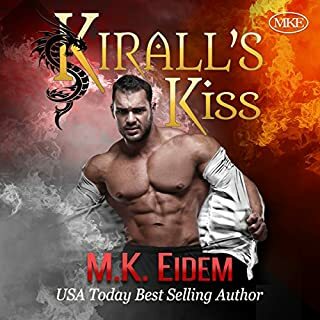 I LOVE every MK Eidem book I've listened to so far, and this was no exception. Unfortunately, (for me), I'd have to call this a prequel rather than a full length book though. What I love about MK's style is her thoroughness, (all killer, no filler, and lots of it! ), and this book ended just when things were getting good! I'm totally left hanging here! Hopefully it won't take long for the next book in the "series", so I can hear the rest of the story. What made the experience of listening to Nikhil the most enjoyable? The story was never slow.....I loved that the love interests did not wait till middle of book to get together. Though there were misunderstandings between Mac and Nikhil...neither acted stupid...they talked and worked things out! What does the narrators bring to the story that you wouldn’t experience if you just read the book? I loved the sound effects and the use of more than one narrator. I felt by listening I was in the story. All of the book moved me! Only bad part? The next book was not available to start. The story ended abruptly and it seemed it should have continued. I must say, I really enjoy listening to these productions. It's like listening to an old time radio show or something. The only problem with the story was Mac's hypocrisy and her justification for it. Not only does she rag on their beliefs (even after these are explained to her); but she holds back aiding her friend. She will help and stand up for others, but she lets her nearly suicidal friend suffer needlessly. This is excused as not telling someone else's secrets. This stance poses the question: will you allow someone to die or be abused or suffer when they are clearly suffering mentally and emotionally? Mac berates others for not being forthright and therefore lying by omission. REALLY? Still a great listen/read. It will make you think and entertain you, as well. I first read this book about a month ago, it was my first time reading anything by this author. I loved the book, it was a very interesting storyline. If I like the book enough, I'll always try and listen to the audio, so when I listened to the sample and realized it's the kind that has duet narration, as well as sound effects, I was really excited. Now, I absolutely don't mind sound effects, I don't feel like they take away from the narration at all. This particular book has 4 different narrators. I don't have a problem with the male narrators at all, It think they did a great job and I truly enjoy Griffin Murphy. However, I do not like the female narrators at all. 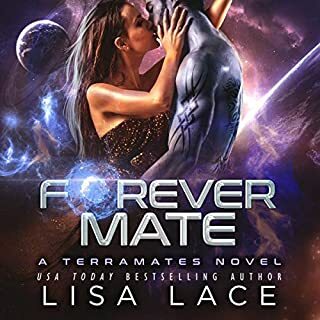 I feel like I've heard them before in Michelle Howard's books (possibly using a pseudonym) , and I didn't like them either. I just don't think that they convey emotions well, their tone of voice doesn't really match to what they're saying. I don't know how to explain it, I feel like they could inflect more emotion in their voices when in dialogue, it feels stunted and forced, too casual when it shouldn't be. I'm pretty sure I won't be listening to more audiobooks in this series if they're using the same female narrators. 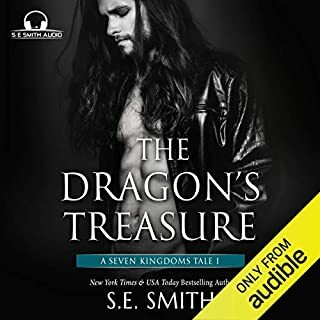 I confess I was hesitant to listen to this book since I was TOTALLY stuck on the Tornians series, but I'm glad I took a chance and enjoyed the book very much and the music was a nice touch! 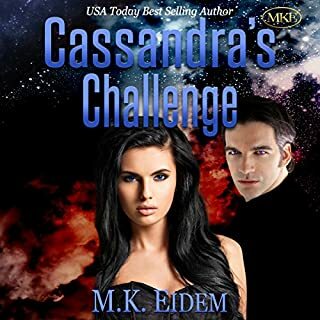 Love MK Eidem books; audio great! 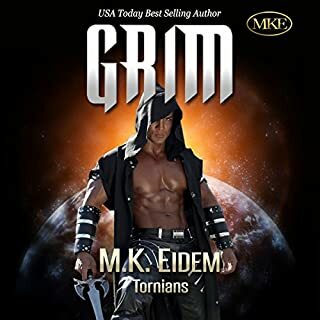 I love all the MK Eidem books I've read so far. Can't wait to find out if Jen meets Kim again (see Wray); time to ck the author site for her next release. The narration team is great! So very much hope we'll get Victoria's Challenge & Jacinda's Challenge in audio soon!!! I most admit Im obsess with these series. The caracters are so well develop that you feel like you know them to the point I catch my self correcting the narrator pronunciation of names. But the narration is really good and in this book they use more voices for the dialogs.Amazing. Though this book make me realize human woman are very selfish, lol. I cant wait for Ull story that MK say she is already working on, and Trevon. My other fav caracter ia Vali and Paganos. Im a latin woman that adore tall strong man that have a soft voice I hope that in that bunch of woman theres a latin woman that fall's crazy in love with him, but thats me with wish full thinking. Let me start by saying, I am an M.K. Eidem fan. Her novel, Grim, is one of favorites of the “Mars Needs Women” trope. So, like other fans, my expectations were high. Unfortunately, Nikhil isn’t worth a credit. Skip this book and hope for the next. The heroine has no redeeming qualities. She berates her true mate for the same actions (lying, keeping secrets, withholding) she commits. Throughout the story, she acts stupidly – liking slapping a warrior for a perceived insult. The likeable hero’s theme of, “you are safe I will protect you” is said over and over and over..Side note: I also didn’t like the plot line of the DD curvy heroine being starved in to a drop-dead gorgeous skinny b***h. Maybe if she had some donuts her personality would improve. I also have a minor issue with the narration. The voice actress for the fearful, self-pitying minor character of Jen needs to be recast. The actress’ almost underage, monotone interpretation of Jen’s dialog did not help the character at all. 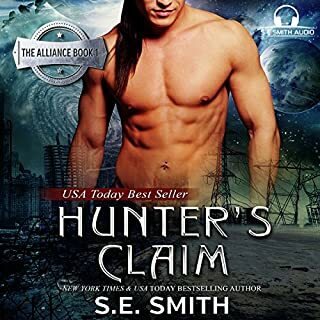 This audio book needs better narrators. The story is cheesy. I don't know if I'll buy another one. I have fallen in love with the Kaliszian men. Great story. The music is wonderful I've never heard these snippets before. Narrators brought the book to life for me. Off to listen to the next book. My heart broke for the two women who suffered so much much. They were both so strong that you just hoped that they and the men with them got rescued, they did and Mackenzie even had her happy ever after, this story show's that strong women can have their own heroes brilliant, story lived it all. The music again added a new dimension to the whole story. What did you like best about Nikhil? What did you like least? Has Nikhil put you off other books in this genre? Have you listened to any of the narrators’s other performances? How does this one compare? If you could sum up Nikhil in three words, what would they be? These stories by MKE is very well written and conveyed the audio is just astounding it puts you in the midst of the lives unfolding lovely sound effects. Please we need the other books converted to Audio. Awaiting the next after Cassandra! !